This blog post is the fifth of the series of our in-depth look on the Harvesting of Rainwater Checklist Imprinting! I am currently working on an evaluation for a project that I’ll be using the imprinting method. I have decided to go with this method because the imprinter machinery is an excellent option for the larger scale farms to harvest rainwater. The imprinting method works by stripping out, sealing and smoothing out the soil to allow the air-earth interface for infiltration for the revegetation process. The V-Shaped imprint patterns allow the process of the exchange of rainwater, air, and soil through the air-earth interface. The infiltration is more rapid with the V shape compared to a smooth closed soil air to earth exchange. 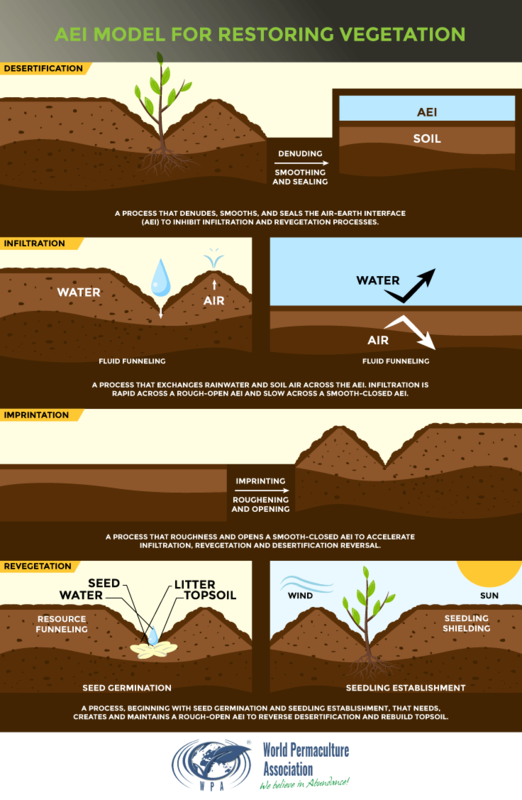 The seed germination process will rapidly begin with the rainwater funneling into the rough opening of the air to earth interface creating nutrient-rich topsoil. The specifications for the Dixon Land Imprinter derived from the principles of soil mechanics and the hydro-biotic function. Dr. Robert Dixon created the Dixon Land Imprinter. Mechanically the imprinter works by digging through the soil with downward acting forces applied to angular steel teeth to create the V-Shaped indentations. The difference between how the imprinter creates the indentations through soil compression and searing compared to ridges or crests which are embossed (a lifting process). Thus, creating less soil disturbance and compaction compared to other rainwater harvesting methods machinery. For those who want to create an imprinting machine at home, this site has the specifications listed for doing so. The site is very informative with valuable diagrams tables, and publications to further instruct on creating this machine at home. In this video of Bill Mollison, talks about nature rejecting the simple solutions (nine minutes into the video). Within the video, there is photographic evidence of before and after imprinting with a very astounding difference. There are so many powerful thought-provoking quotes from Bill Mollison and Dr. Robert Dixon in this video. 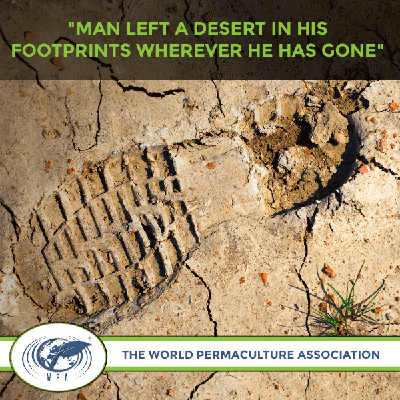 Restoring desert and arid land on a large scale is so important to me. I have a vision of greener earth from Middle East to the once abundant prairies in the United States. So far I have gone through five harvesting methods, and before the end of this series, there will be a total of seven. 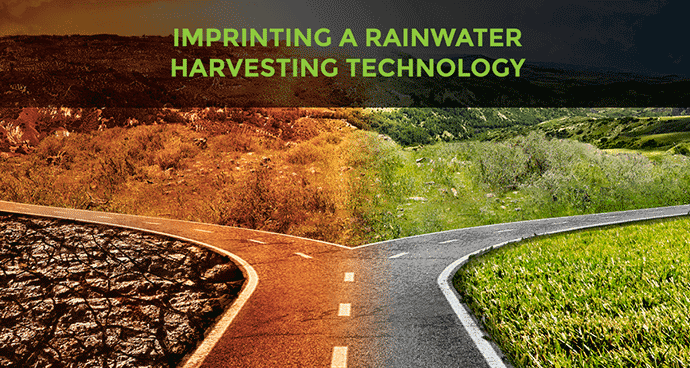 Seven different methods to harvest rainwater on a large scale. The time of change needs to be NOW! We can take Permaculture practices and ideologies and take those to the next level with the technology age and make that change.